Aromatherapy involves the use of essential oils. 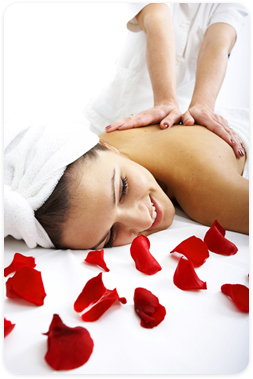 Individual blends are prepared by the practitioner, applied to your skin through a relaxing massage. As a holistic treatment, aromatherapy can have a profound effect on your physical and psychological wellbeing. There exists the belief that scent, as the most enduring of our senses, has the power to transform our emotions, and heal our bodies. Essential oils used in aromatherapy are extracted from plants and herbs to treat conditions ranging from infections and skin disorders to immune deficiencies and stress. When aromas are detected in the nasal cavity, impressions associated with previous experiences and emotions are created. Combining this with the fact that the parts of the brain that control heart rate, blood pressure, breathing, memory, stress levels and hormone balance are also related to the nasal cavity, it is evident that the use of essential oils contributes to and achieves many beneficial effects.